This afternoon I made two digimode QSO's in JT9-1 with the Yaesu FT450 while JT9 software was running on my old PC from 2007. Frequency 14.078 MHz. RF power, QRP level, 5 Watts. The first QSO was with Jacques, F1VEV from St. Valier. 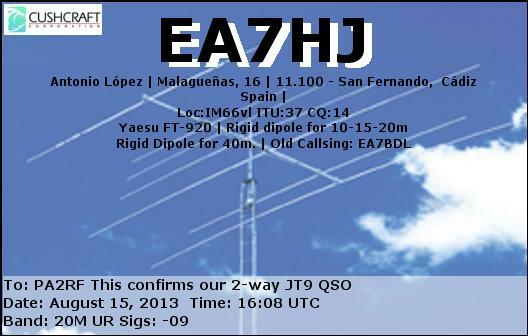 The second with Spain, Antonio, EA7HJ. 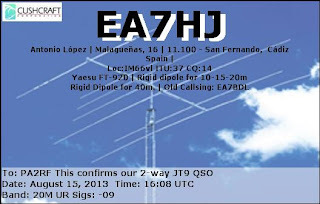 Compliments to Joe, K1JT, the designer of this interesting weak signal mode.